The night before we discovered Posada Ziga had been the most disgusting, dirty, dreadful night of our trip to date and at the break of dawn we left the makeshift ‘hostel’ in search of a better hotel in Mazunte. A quick trip up and down the beach and we had completed the survey of available hotels in this beach village. Located 1 hour from the eco-resort town of Huatulco and 40 minutes from Puerto Escondido, Mazunte itself has only 700 inhabitants who share a few unpaved side streets running off of one main road with visitors. This charming little beach town has several nice hotels in the budget range, but none that swept us off our feet for the price. That is, until we discovered Posada Ziga, the very last hotel on the beach, and coincidentally right next to the hostel we were trying to escape. These two Mazunte hotels may be neighbors, but they are worlds apart, in the way that Posada Ziga does just about everything right, and its neighbor, well… we won’t give names because it will probably have changed hands a few times before you get there anyway. Back to Posada Ziga. The small hotel has only 14 rooms at the time of our visit, 8 of which have private bathrooms, though builders were hard at work with at least six brand-new rooms that should open soon. The best feature of the hotel is that each room has a little terrace (see Stand Out Features) with views out over the Pacific. 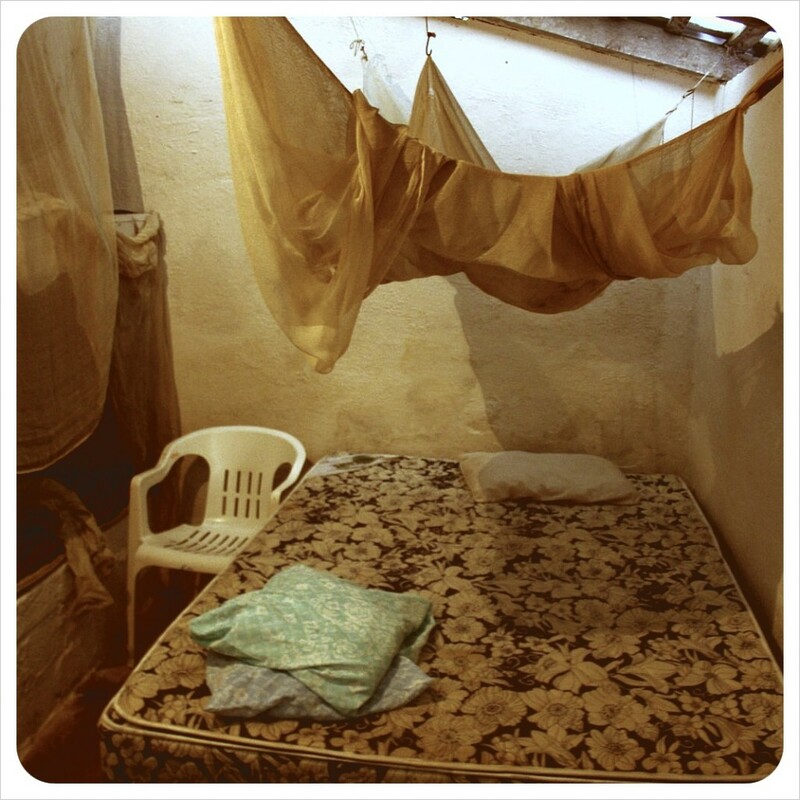 The rooms are clean, spacious and kept in top condition, each has a little table and wardrobe, is equipped with mosquito nets and a small in-room safe (rare in budget hotels!) are kept spotless by the cleaning ladies. Staying here also means contributing to the local economy, as Posada Ziga is run by a local Mexican family, contrary to most Mazunte hotels which are owned by foreigners who relocated to the area. Situated high on the rocks that form the frame of the bay, Posada Ziga really offers unparalleled views of the beach, especially good from the restaurant. While the menu leaves a bit to be desired (see Room for Improvement below), the free wi-fi works best here, although attempting to concentrate on anything work-related can prove quite a challenge, especially with the set of stairs beckoning you to the beach straight from the restaurant. We did actually manage to write our First 100-days post from here, since Posada Ziga was the spot for our first 100 days’ celebration. 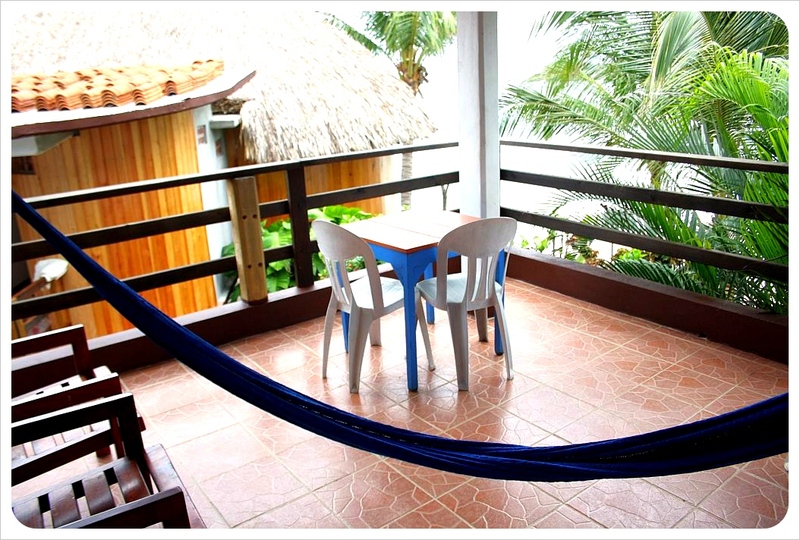 Each room shares a terrace with one other room and each one has ocean views, a table, chairs and a very sturdy hammock. The hammocks are new, well-maintained, and hang just right so there is no scraping the floor with your behind. The terraces are roofed, so that even if it rains, you can still sit outside and enjoy the breeze from the ocean. The staff at Posada Ziga does a fabulous job, and there is only one thing that could be improved: The restaurant – specifically the restaurant prices. The clientele at Posada Ziga are budget to mid-range travelers, but the prices seem to be inflated to squeeze too much out the guests. With the fantastic range of delicious restaurants on and off the beach, the hotel restaurant at Posada Ziga could probably compete much better if prices were lowered. The menu was also a boring selection of seafood and soup, managing to leave out most of the dishes that make Mexican food so delicious. Posada Ziga is a great hotel for the budget-conscious traveler who wants to escape Mexico cities; it is the perfect place to relax, swing in a hammock and enjoy a good read. The restaurant terrace offers tremendous views over the entire bay, and views can also be had from your very own terrace. 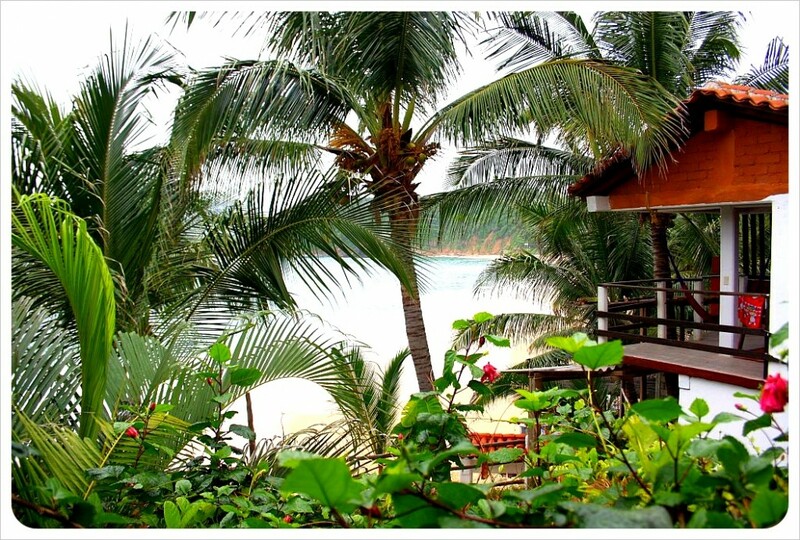 This Mazunte hotel is a clean, quiet place perfect to recharge and chill out for a few days. Price:Double rooms with private bathroom $34-$42, double rooms with shared bath room $25-$32. After a month of Mexico’s finest city life, overnight buses, and countless churches, it was time for a relaxing beach getaway. 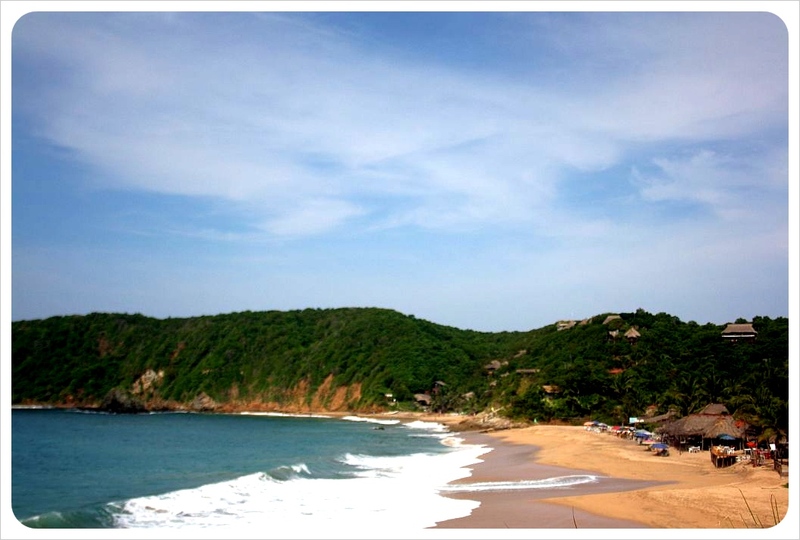 We headed from Oaxaca city to the Pacific Coast to spend a long weekend in the beach towns of Mazunte and Zipolite. After the first couple of days spent in the sleepy beach town of Mazunte (see our post here) we moved on to Zipolite, a beach town with a rep as a hippie and backpacker mecca. We were dropped off at the edge of the village by a camioneta, or covered pick-up truck, which is the main mode of transport on this part of the coast). During the ten-minute walk to our hostel we spotted mainly abandoned or near-abandoned houses and hotels littered with For Rent and For Sale signs, and where were these hippies and backpackers we had been warned about? Through a sweaty, Dramamine-induced stupor, Dani and I stood shocked at the derelict ‘private’ hostel room we had been so excited to reach after an nine-hour trip from the outskirts of Oaxaca to Mazunte which involved a bumpy ride in a tuktuk, a local city bus, a winding five-hour shuttle-colectivo and a forty-minute wait for a thirty-minute ride in the back of a pick-up truck. We had thought we were staying with a local character, Carlos Einstein, a self-proclaimed but friendly-looking shaman who had a hostel on a fairly remote beach in the state of Oaxaca, Mexico. It turns out that shaman Einstein had abandoned his seaside hostel a few months earlier in favor of a place in town at the end of a lonely path. This was explained to us upon arrival at his former, run-down hostel by the friendly but very lazy Americans that have since taken over the place. On our way to check out his new hostel, in hopes that it would be nicer than this other option, we were met by locals who warned us not to stay there: Apparently, Carlos is more than a flirt and sexual assaults here have been reported by many female travelers. We turned back around instantly and, with no alternative option as the sun set, headed back to the original beach-side hostel and set our packs down on its cement floor, careful to avoid the pools of water that had collected throughout the room. The shower was nothing but a hose in the wall, the toilet could only be flushed by pouring a bucket of water into it, and a very old, mildew-ridden pair of underwear was discovered in the bed as we attempted to hang our own mosquito net over the ripped and moldy one that came with the room. 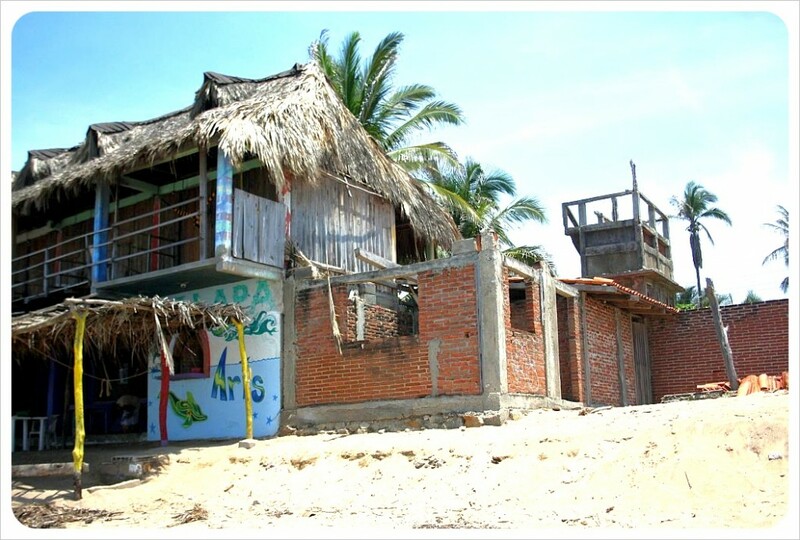 The next morning, we took a stroll through the village and looked at some other posadas and it turns out that right next door was the charming Posada Ziga, which is the last hotel on the beach before the Turtle Sanctuary. We moved in, cleaned up and as we laid in the hammocks on our own private terrace, we immediately felt more positive about this gorgeous Pacific coast beach village. 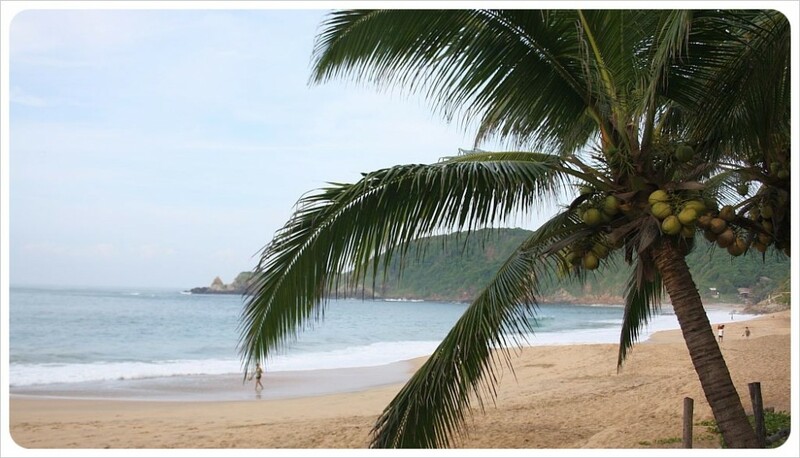 With only 702 inhabitants, Mazunte is about as sleepy as a beach town can get. There is a lot of laying on the beach reading or just staring out at the incredible ocean view. The town’s main (and only paved) street, Avenida Paseo del Mazunte, connects Mazunte to its neighbors. 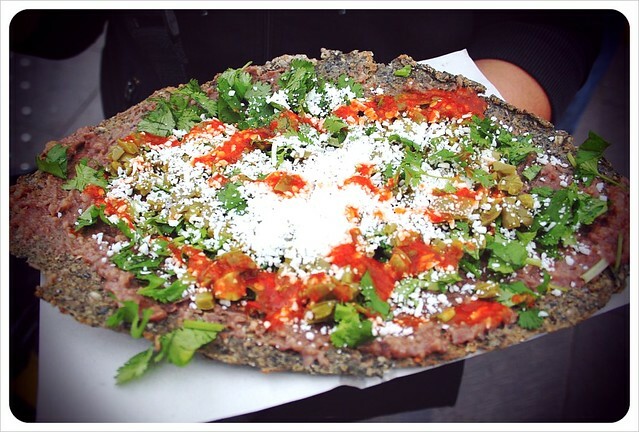 The street is lined with small shops and restaurants on either side – typical Mexican restaurants with ‘comida corriente’ and gringo-friendly spots including three pizza places and relaxed hang-out cafes. At our own Posada Ziga, the restaurant served strong coffee and standard fare along with perfect views of the entire Mazunte beach. It was the perfect place to celebrate our first 100 days on the road. Mazunte was essentially uninhabited until the mid 20th century when the market for sea turtle eggs and meat developed and the town became the center of sea turtle hunting, complete with its own turtle slaughterhouse. All that has changed with the prohibition of the turtle meat trade in the 1990’s and today the town survives on turtle conservation at the Mexican National Turtle Center and the small but steady trail of tourists to the area. 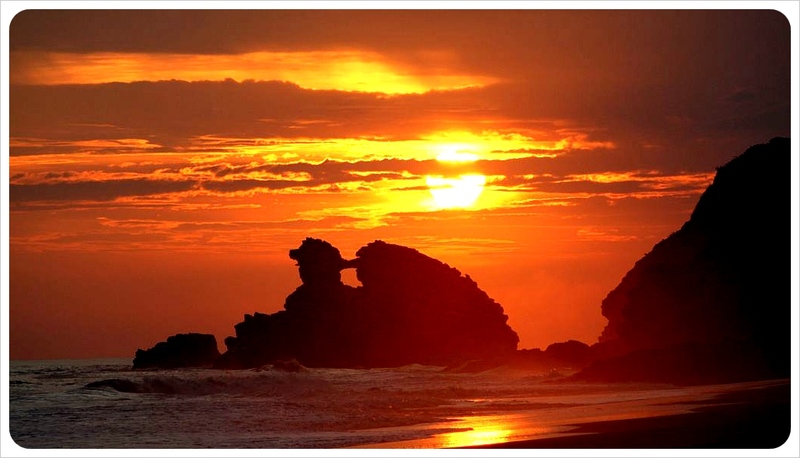 Watch the sunset at Punta Cometa at least one night during a stay in Mazunte. ‘Comet Point’ is a short walk from Mazunte through the forest out onto some beautiful (safe) cliffs where beachgoers come to watch the sunset on the most southern part of the state of Oaxaca. This walk can also lead to the nearby black sand beach of Mermejita which seems almost completely uninhabited. Posada Ziga has clean, comfortable rooms and free wi-fi from $25 USD (shared bathrooms) or $35 USD (private bathroom), while the slightly more expensive Posada del Arquitecto is one of a few quality hotels on the other end of the half-mile beach. Cabanas Miramar further up the hill on the way to Punta Cometa offers cabins from $25 USD, and for a more exclusive getaway try the Casa Pan de Miel which runs from $110.00 – $250.00 (USD). However, unless Mazunte is your choice for an exclusive weekend getaway, there is no need to overspend as Posada Ziga or El Architecto offer clean, quality, mosquito-free accommodation with stunning sea views. The popular beachtown of Zipolite is situated three km from Mazunte, but we would recommend staying a few nights there rather than an day trip from Mazunte. Between Mazunte and Zipolite the beach is nearly vacant, except for the tiny fishing village of San Agustinillo (roughly 230 inhabitants). The beach in San Augustinillo is surrounded by such steep cliffs that large resorts and hotels are impossible to build. We did not stop here, but as it is right on the way between Mazunte and Zipolite, beachgoers in the area could easily spend a day at the here for a change of scenery. From either Mazunte or Zipolite, make sure to hop on a camioneta to La Ventanilla beach, two kilometers west of Mazunte, for a wildlife tour of the lagoon. Ventanilla means small window, named after a rock formation of one of the nearby cliffs that looks like a small window out to sea. 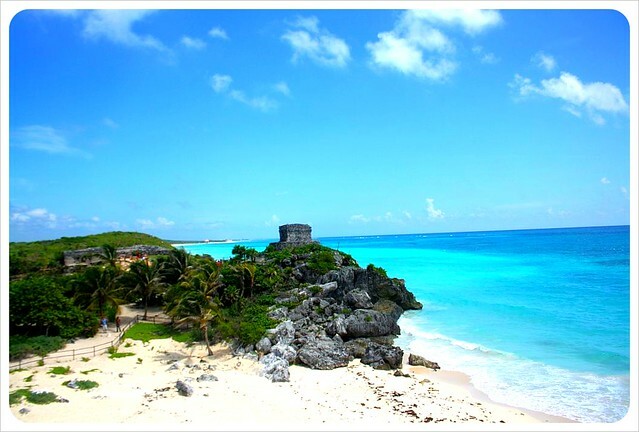 The long stretch of undeveloped Ventanilla beach is home to twenty-five Zapotec families that are dedicated to preserving the ecology of the area and volunteer to protect the hundreds of sea turtles who lay their eggs here each year. The volunteers also serve as passionate and incredibly knowledgeable guides who offer two-hour tours of the lagoon for only $35 pesos or $3 USD. 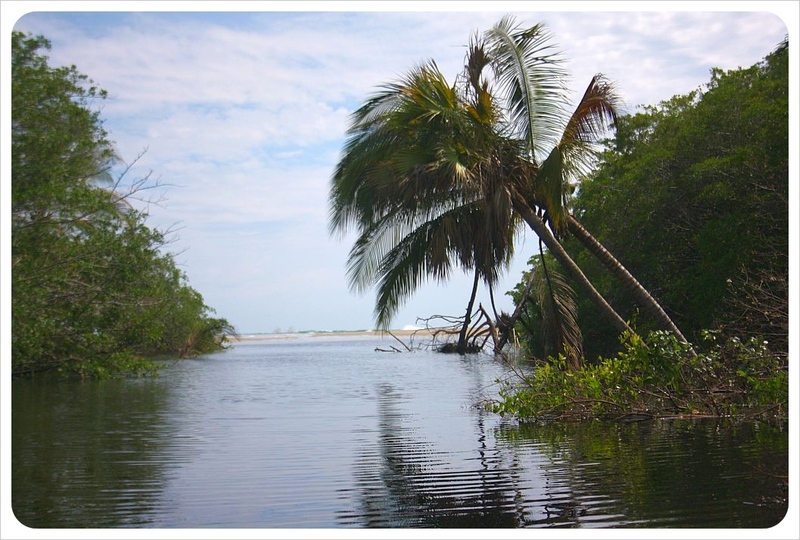 Thousands of acres of mangroves contain a wide variety of wildlife, including iguanas, turtles, herons, ducks, woodpeckers and crocodiles that will swim right up to the boat and even on to the guide’s paddle! After two lazy days in Mazunte, we headed the two miles down the main street to the Zipolite – read our post on Zipolite here! We were lucky to be in Oaxaca for the famous annual Guelaguetza celebrations, one of the main tourist attractions of the region. 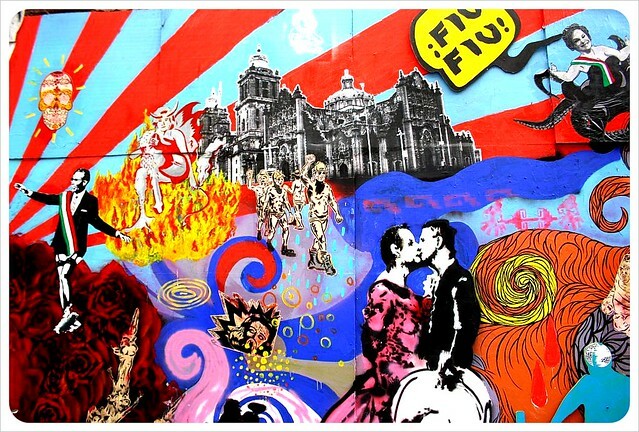 The word Guelaguetza is of Aztec origin and means ‘reciprocal exchanges of gifts and services’. 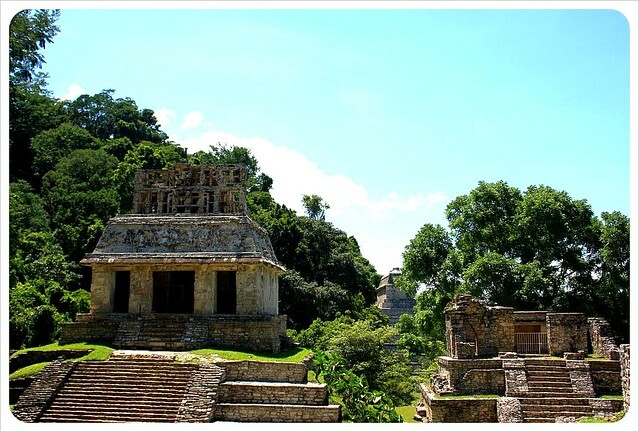 The ceremony was originally held to reconcile the gods for rain and a rich harvest and is still very important for the region’s folk groups as the indigenous culture still plays a significant role in Oaxaca. During the last two weeks of July, the different ethnic groups of the State of Oaxaca come to the city of Oaxaca to present the folklore dances that are typical for their region. Dances are performed in the traditional, colorful dresses in a specially built amphitheater which seats about 11,000 people and in various parades through the streets of the city.